Padel has arrived in Canada. Come and play padel with us at the Calgary Padel Club! 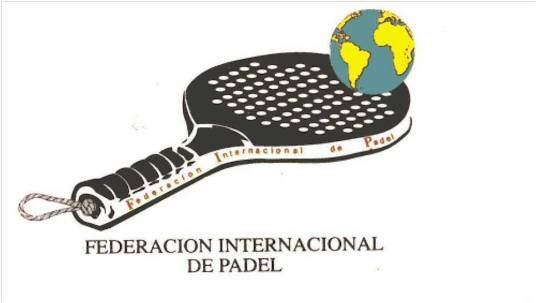 Our goal is to help develop the sport of padel in Canada. Come to one of our drop-in nights or to our drop-in play times during the weekend, we'll lend you a padel, provide the balls, and we'll show you how much fun it is to play PADEL. The sport of Padel is a lot of fun, and if you've played tennis, squash, racketball, or any other racquet sport, you'll have a blast playing padel! As padel combines most of the elements from those sports, it's real FUN to play. And if you tired any of those sports and failed, then padel is for you!!! In addition, you always play doubles so you get to meet lots of people. Watch this video showing the final match of the Calgary Padel Club Mid-Summer Tournament. This is the place to play padel in Canada! At Calgary Padel Club you'll find a very friendly atmosphere, and no matter what level you are, you will truly enjoy playing padel with our members. A Calgary Padel Club Membership is really affordable, only $45 for the year for unlimited play, and the option to participate in many social events like the weekly Round Robin Social and Barbecue, the drop-in nights, tournaments and Free Padel Lessons provided by our certified padel coaches, who are happy to volunteer their time to help develop the sport in Canada. We also offer PADEL Strategy and Techniques to help you progress further. The most important strategy we teach is: have FUN, FUN, FUN!! You will play more padel that you ever hoped at the Calgary Padel Club. Our padel courts have excellent lighting and a very forgiving rubber surface that will help keep your joints healthy. The Calgary Padel Club is currently recruiting juniors of all ages for preparation for upcoming international programs. We encourage all juniors interested in playing padel to come out and play with us. We have junior development programs in place to provide all juniors a great opportunity for progressing. Send us and email at info@calgarypadel.ca, or just come out to our drop-in nights, or Saturday Padel Lessons. You'll have a blast! Check out our website at calgarypadel.ca, you will see our upcoming events, photos and videos showing our fun matches and camaraderie. DROP-IN Play nights every Tuesdays and Thursdays from 6:00 PM. till 10:00 PM. We've added Sunday afternoons from 12:00 PM to 4:00, including a delicious barbecue. FREE PADEL LESSONS on Saturday mornings from 11:00 AM to 12:00 PM, followed by the ROUND ROBIN SOCIAL and amazing BBQ! from 12:00 to 4:30 PM. The Club is open the other days of the week as well, matches can be pre-arranged by the members for those days. Non members are encouraged to come out and join us for drop-in nights, the free padel lessons and the Round Robin Social and BBQ. We have a nice selection of loaner padels, balls, lights on the courts, and our clubhouse has change rooms and washrooms. Padel is a great sport for the whole family, lots of FUN, safe and very social.